Yes, she’s a woman, yes she’s an architect and yes she’s a proud Bradfordian. Team Leader of Landscape, Design and Conservation for Bradford Council, Saira Ali, has secured the first steps towards £2million in National Lottery funding for its City Centre Conservation Area. Saira’s passion for regeneration and conservation has been spilling over for 14-years by her securing millions of pounds of funding during her time at Bradford Council. Now, she’s been heavily involved in securing £2million to breathe life into the area centred around Rawson Place, Darley Street, James Street and North Parade. The funding, which was awarded through the Heritage Lottery Fund’s (HLF) Townscape Heritage (TH) programme will be used to make improvements to the ‘Top of Town’ area also known as the Bradford Independent Quarter. It is a distinct part of the city centre, characterised by small shops and fledgeling independent businesses and is an area made up of mostly 19th-century buildings of high architectural quality. Saira worked extensively with property and business owners to produce the bid, and the continuation of these key partnerships will remain a vital part of the success of the project. “For me, Bradford is where I was brought up, where I went to school, where I work and what I call ‘my home’” says Saira. The announcement by HLF is part of £17million of National Lottery investment to help revitalise ten conservation areas across the UK. The funding for Bradford is the only one granted in Yorkshire in this round of funding. The vision for this area is to continue to grow a thriving and well-connected quarter with a vibrant day and night economy, with high quality independent shops, bars and restaurants. The reuse of the upper floors for offices and residential accommodation will breathe new life into these historic buildings. The award includes initial funding of £61k to develop a more detailed proposal to secure the full award in the next 12 months. The funding will be enhanced with a further £250,000 from Bradford Council, with additional investment from property owners and businesses. An important part of this project will focus on education and skills initiatives. This will see partnerships forming with key primary, secondary, higher and further education institutes to teach local children and young people the importance of heritage and the craftsmanship involved in preserving historic assets. Local communities and businesses will continue to be consulted on the progress of the project which aims to promote and regenerate the area bringing back into use vacant or underused historic buildings, enhancing historic buildings, improving connectivity in the town centre and public realm works. Working on numerous projects over the years, Saira says her favourites are: Broadway public realm scheme; Kirkgate public realm; Public realm improvements along key Gateways and Corridors in the city; Securing funding for many community-led schemes across the district in Manningham, Great Horton, Cottingley, Barkerend, etc. ; Tour de France and Tour de Yorkshire. 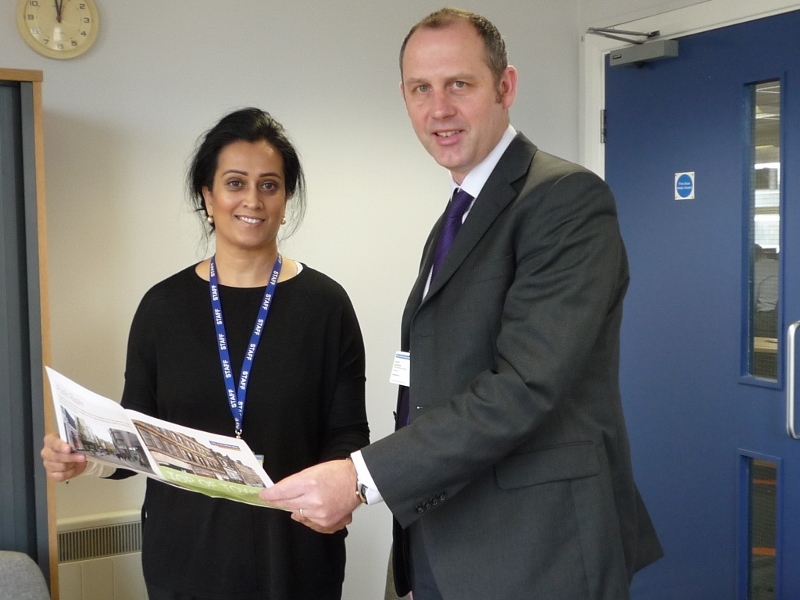 Talking about her recent £2million bid, Saira says: “It was a great opportunity to create a piece of work where we could deliver a project of heritage capital works, improving the aesthetics of the buildings and help them remain fit for purpose. Councillor Alex Ross-Shaw, Bradford Council’s Executive Member for Regeneration, Planning and Transport said: “The heritage led regeneration of the ‘Top of Town’ through the reuse of historic buildings will protect links to the past and help secure their future. “This project provides a unique opportunity to restore Bradford’s fabric and promote engagement, learning and skills. “Forming part of a wider programme of targeted heritage activity, this scheme complements recent and on-going activity within Bradford city centre and promotes connectivity between key destinations. A student architect from Manchester has been named as a finalist in an international competition to design a habitat on Mars, receiving an official Martian passport in the process. 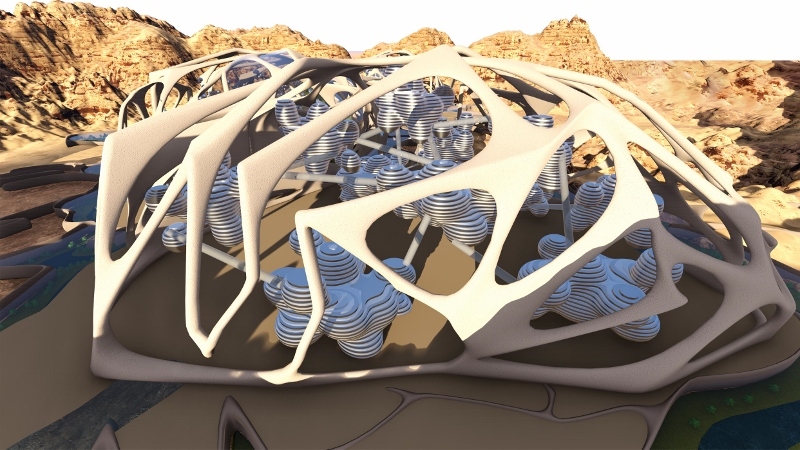 Karan Gandhi, currently studying an MA Architecture and Urbanism at the Manchester School of Architecture, came ninth overall and in second place in the Architecture category of the Mars City Design competition. The Mars City Design competition is an urban design and innovation platform that brings together innovators in art, architecture, science and technology from around the world to develop ideas and designs that will one day be the blueprint for sustainable cities on Mars. The competition identifies ‘creators of a future history’ and the ultimate aim for the project is to one day make these blueprints a reality. Karan, who is originally from India, said: “I have always been enthusiastic about space programs and developing planetary technologies. After presenting his project at the London Space Research Conference Programme 2016, Karan’s design titled ‘Neurosynthesis’ impressed the creative visionaries that made up the judging panel which included international architects, NASA scientists and engineers, filmmakers and urban planners. Karan scored 55 out of 90 points for his designs resulting in a position in the global top ten. On his inspiration for his design which included a closed river system, ambulatory housing, and an artificial Martian waterfall, Karan said: “I wanted a city that was architecturally aesthetic but scientifically viable at the same time. Eamonn Canniffe, Principal Lecturer in MA Architecture and Urbanism, was full of praise for his student’s recent success. 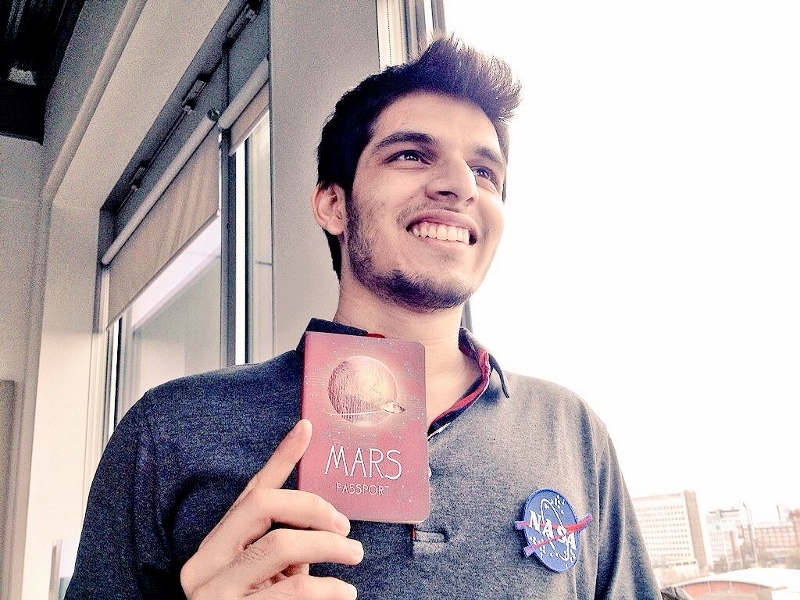 “Karan's proposal clearly impressed the judges with the way he addressed the totality of urban settlement on Mars, both from a technical view in terms of inhabiting such a hostile planet, and from a creative perspective in designing an enjoyable environment in which to live,” he said. As well as being given a Martian passport, Karan has also been invited to Los Angeles where his designs will contribute to further research and development at the University of Southern California with guidance from NASA in July. Dame Zaha Hadid, the world-renowned architect, whose designs include 2012’s London Olympic aquatic centre, has died aged 65. 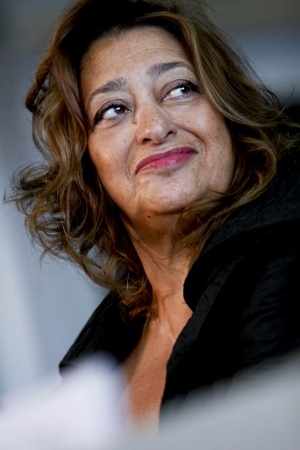 Her company Zaha Hadid architects announced she contracted bronchitis while in Miami earlier this week and died in hospital on Thursday morning. In a statement, the company said: "It is with great sadness that Zaha Hadid Architects have confirmed that Dame Zaha Hadid, DBE died suddenly in Miami in the early hours of Thursday morning. Jane Duncan, president of the Royal Institute of British Architects (Riba), told the Daily Mail that news of Dame Zaha's death was ‘absolutely terrible’. She said: “Dame Zaha Hadid was an inspirational woman, and the kind of architect one can only dream of being. Visionary and highly experimental, her legacy despite her young age, is formidable. “She leaves behind a body of work from buildings to furniture, footwear and cars, that delight and astound people all around the world. The British culture minister, Ed Vaizey, posted on Twitter that he was stunned at the news and praised her ‘huge contribution to contemporary architecture’. Zaha was born in Baghdad in 1950 and for three decades has been turning heads with her awe-inspiring architectural designs. 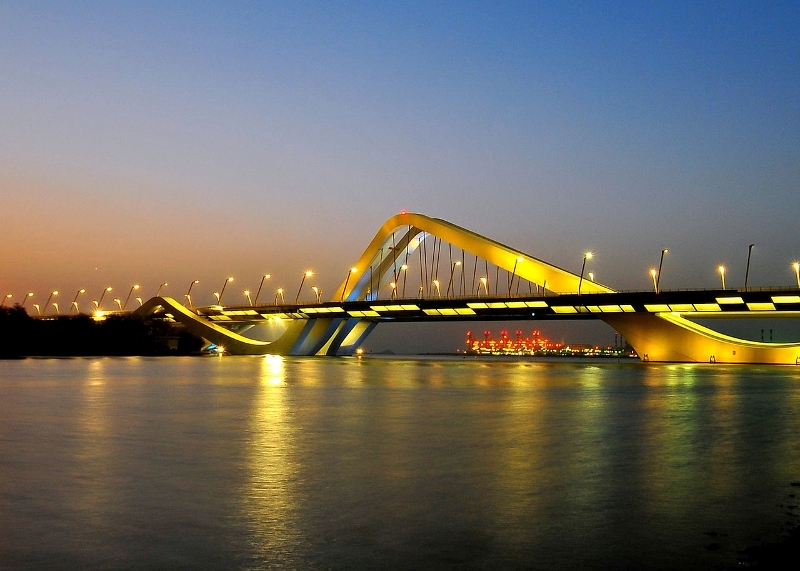 Amongst her most renowned creations is the Sheikh Zayed Bridge in Abu Dhabi, with its glorious curves and arches, and the Galaxy Soho in Beijing, which is the most ‘space age’ design in her catalogue of works.